Farewell to a wonderful team! – Summit Helicopters Pvt. Ltd.
Farewell to a wonderful team! 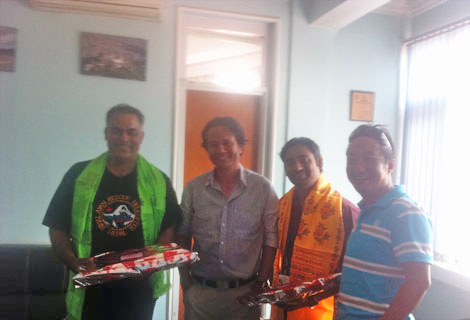 Fishtail Air is gratified to have had the team of very joyful & friendly Capt. Baljeet Singh Nahal, Capt. Ashok Dutt, En. Anish Suresh & En. DevUpadhyay as part of us and we thank you for carrying out the various rescue and other operations. Best wishes for the future and we hope to see you again soon. Bon Voyage!